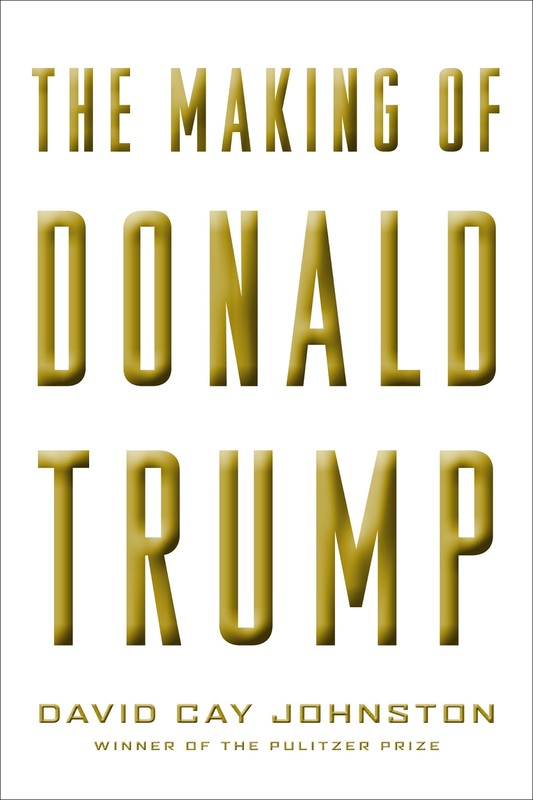 A New York Times Bestseller in 2016 right before the US Presidential elections was "The Making of Donald Trump" by David Cay Johnston. After months contemplating whether to finally read this book, I did so while awaiting Coretta King's new book. After all, it makes sense to more understand who Donald Trump was a person, his history and ascension to the highest political office in America. Quoting from David Cay Johnston who claimed to have amassed a storage unit to keep records about his long 3 decades of interactions with the 45th President Donald Trump. Hence, it is also surprising to note that sequential recollections of the author that indeed Trump has been eyeing for this highest position for a long time contrary to what's said that he did not have political aspirations in the past hence to rise to the presidency. The book starts on stories on syndicated media news and by the author prior to the election asking a false question about a Casino. As what we see nowadays on Mr. Trump's tweets' he is very much in touch with current events through the main stream media and will ultimately react to the news regardless of content and context. This is very typical of us laymen as well as business people as current events does affect the economics affecting the world. If this inherent culture should be the same with he finally takes office as President, we'll leave this open for now. Chapter 1 starts about the family history from Germany as immigrants raising the future question to the newly elected president about his deportation of illegal immigrants. Ending with his great grandfather Frederick's fortune was not able to buy him more time to live dying on the pandemic influenza outbreak. Donald Trump followed his father's footsteps, Fred Christ Trump which is typical of rich business families after the great depression of teaching their children the family business to prepare them to take the reign someday. In college, which is common of entrepreneurs and which whom like myself branded as young entrepreneur, Donald Trump started on his real estate business deals. In 1968, Mr. Trump earned his Bachelor's Degree in Economics from the University of Pennsylvania, Wharton School. The author continues on a lawsuit that Mr. Trump filed about his net worth when asked about NPV (Net Present Value) and the Generally Accepted Accounting Principles (GAAP) where he answered very irrelevant as a major in economics. The book also touches about Taj Mahal in the spring of 1990 when Mr. Trump cannot pay contractors as it opens it's doors in April 5, 1990. With the thousands of lawyers, the DGE and liens that resulted still the Trump empire was saved as the government deem he was big to fail. Yet in 1991, the Taj Mahal entered into a Chapter 11 bankruptcy a story I finally remembered through this book. I remember this started the 1st of 4 bankruptcies. Another recollection through this book was Adnan Khashoggi's "The Flying Saucer" massive boat renamed and bought by Donald Trump to "Trump Princess". In the early 1980's while reading a book called "Waltzing with the Dictator" about the then ill-gotten Philippines First Lady Imelda Marcos affiliation with Khashoggi. I remember the boat was sold to Trump almost at auction when Khashoggi lost the boat seized by collectors. Hence in 1990 as the book recalled was a talked about a prank on both these two of whom was the cheapest rich person in New York. As the book continues on Mr. Trumps engagements on being constantly being wealthy, inconsistencies on his claims on his net worth as billionaire etc., and his business dealings, we should note that typical businessmen after the Great Depression, World War II and after the Industrial Age have similar traits to Mr. Trump. There's a lot of fact findings deeper that will discredit someone who has just been elected to the highest office of the land. Whether, we like it or not and given the various facts written on this book, Mr. Trump still has a fresh new start to a new position as President of the United States. "The Making of Donald J. Trump as President". May the force be with him and more success to the land of the free.